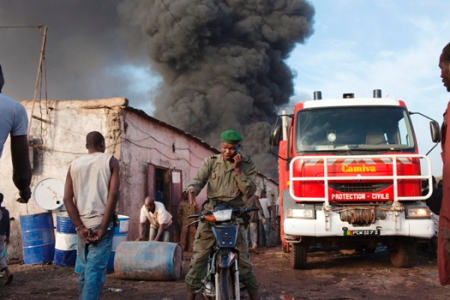 Mali: France’s Neo-Colonial War for Uranium? In late December 2012, the United Nations Security Council approved the dispatch of an “African-led intervention force” to Mali’s to help the army reconquer the north of the country from Tuareg separatists and their allied Islamist militants. 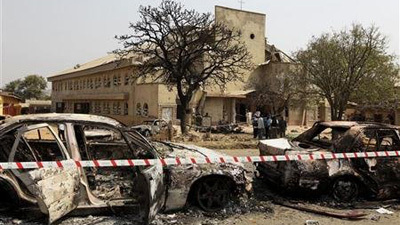 But in recent days, it is not the African-led troops who have been operating in Mali. Instead, troops from former colonial power France have been unilaterally deployed to fight the rebellion in the north. Since the coup that overthrew President Amadou Toumani Toure on March 22, 2012, Mali has undergone a multifaceted crisis: a political crisis with all of Mali’s institutions put into question, a territorial crisis where the north is controlled by Tuareg rebels who have been joined by Islamists, and a security crisis with an army that is divided, demoralized and poorly equipped. Last but not least, there is also a humanitarian crisis involving more than 800,000 refugees. 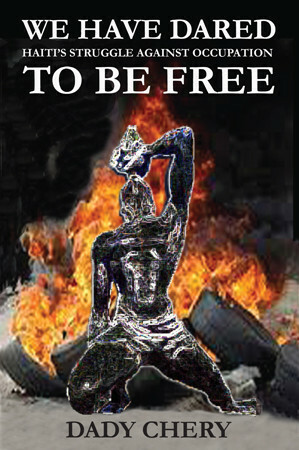 Soon after the coup against Toure, France and ECOWAS (Economic Community of West African States) set up a strange and dysfunctional governing triumvirate, with a prime minister, president and one representative of the army, which the French authorities themselves have described as “the least bad solution.” The three elements of power have not been able to agree on anything, from the constitution to a coherent strategy to deal with the rebellion in the north. 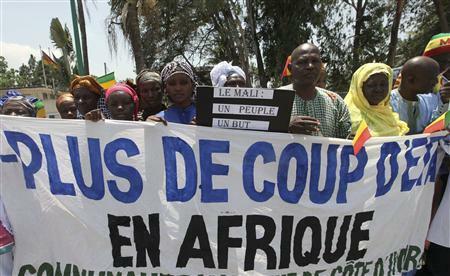 Most Malians do not understand why their army cannot end the foreign occupation. But the putsch affected the chain of command, with lower-ranking troops rebelling against the top brass, not to mention a split of the infantry green berets from the paratrooper red berets. Army leader Captain Amadou Haya Sanogo recognizes that, from an official fighting force of 10,000, only 5,000 are “combat ready” and only about 2,000 are “truly motivated.” The northern rebels, on the other hand, have 4,000 fighters at their disposal, all of them experienced, motivated and battle-hardened. Is Captain Sanogo a tool of AFRICOM? Captain Sanogo and his green berets led the March 2012 coup, but the 39-year old Captain is much more about style than substance, and his nationalist stance seems a bit superficial when one examines his background. Captain Sanogo is somewhat of an embarrassment for the United States, considering that he received six “training missions,” including one in Camp Pendleton, between 1989 to 2000. 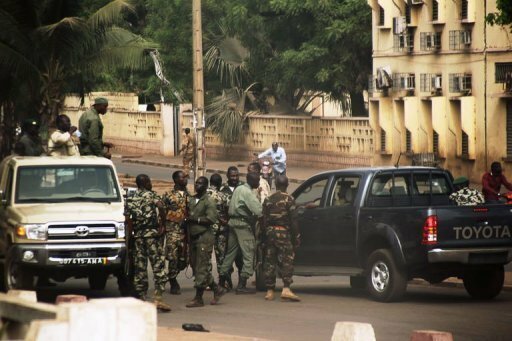 It appears that the US, either willingly or unwillingly, trained some of the Malian officers who were responsible for last year’s putsch against president Toure. Over the past decade, the US has poured $1 billion into Mali, mainly in military training through AFRICOM, and has, in effect, acted against France’s influence and role in the country. The current French military intervention will likely weaken Sanogo but strengthen President Traore, who has requested military aid from France. 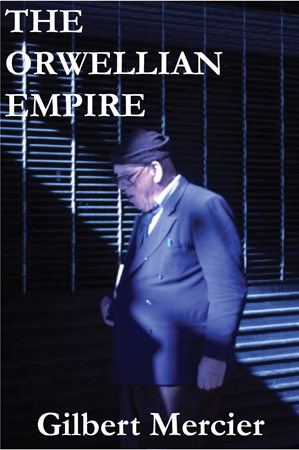 While former colonial power France has championed West Africa’s independence in words since 1960, the former imperial power’s actions have continuously undermined this independence. For more than five decades, France has maintained a neo-colonial relationship called “FrancAfrique” with all of its former colonies, including Mali. Paris has cultivated this dependency by militarily shoring up hand-picked regimes in exchange for prime access to resources. In an article titled “Financial Enslavement of West Africans by France,” Antoine Roger Lokongo explains in great detail how a terrible bargain was forced by France on the newly-independent West African countries. This pact, which keeps West Africa under France’s thumb, was negotiated under the supervision of Mr. Jacques Foccart. The deal, called “Pacte Coloniale,” maintained France in control of all the key components of the new African states in all aspects of politics, the economy, and of course, the military. 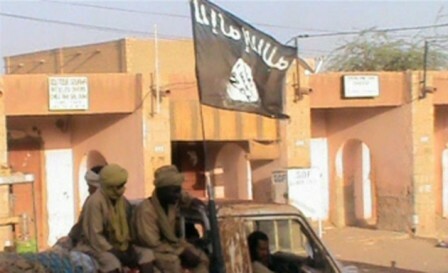 Mali: France’s war for uranium passing for war on terror? The population of the nomadic Tuareg tribe is estimated to be around 1.5 million and is split between Mali, Niger, Algeria and Libya. For centuries, the Tuaregs have survived in this Sahara region mainly by organizing and controlling the trade route of ivory, gold, salt and slaves. Their fierce resistance to colonization by France has caused the Tuaregs to be marginalized. 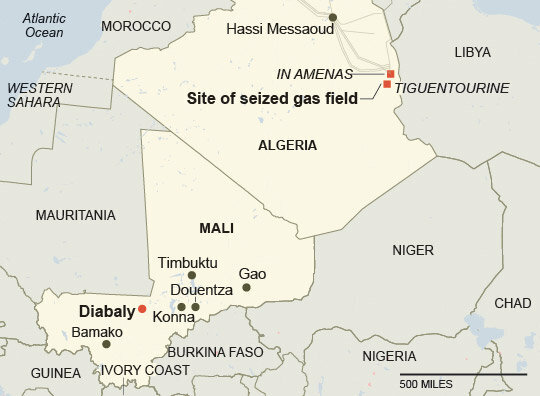 The current problems of the Tuareg rebellion and French intervention in Mali could be linked to uranium. Stefan Simanowitz wrote in 2009: “A key reason that the governments in Mali and Niger are not keen to give the Tuareg greater autonomy is that the areas that they inhabit are home to vast natural resources… [with] the world’s third largest uranium reserves as well as substantial oil reserves.” He pointed out that French mining company Areva had lost its almost complete exclusive right to Niger’s uranium. This could easily explain why France could not afford to lose Mali as well. 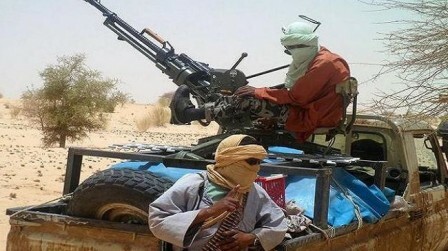 On Monday, French foreign minister Laurent Fabius said that it was not France’s role or intention to act alone in Mali. “We are not alone in this. The international political support we have is almost unanimous. 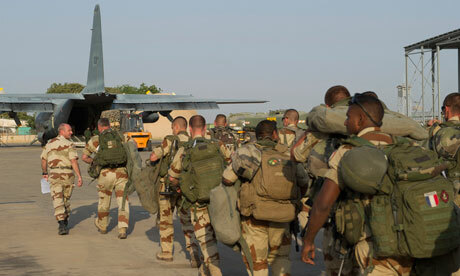 It is not France’s role to operate alone in Mali. 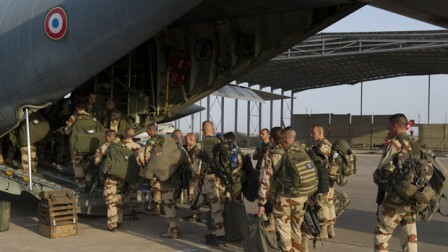 By intervening in Mali, France has assumed its international responsibility. Key interests were at stake for us, for Africa, for Europe, so we had to act quickly,” said Fabius. Could one of the key interests mentioned by Mr. Fabius be uranium? Uranium is indeed France’s key energy resource. France’s civilian nuclear program started its brisk development in the 1960s. According to the World Nuclear Association, over 75 percent of France’s electricity is produced from nuclear energy, and France is the world largest net exporter of electricity, with a revenue of more than 3 billion Euro a year. France (through the company Areva) is also very active in the development and export of nuclear-reactor technology. Despite the fact that about 17 percent of France’s electricity is produced from recycled nuclear fuel, the country heavily depends on uranium. 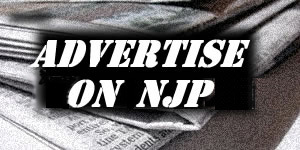 2 Responses to Mali: France’s Neo-Colonial War for Uranium? Not just uranium, but oil too. These neo-colonialist interventionist policies are transparent. It is said the west is using drones to help with their theft. And of course the US is in Africa in force. The war on Islam is blatant and shameful. As a westerner I hang my head in shame. Oh Gaddafi where are ya now? You were martyred and no one lifted a finger to help you. I am so disapointed in Obama.